In a Nutshell: No one likes waiting to speak to a customer service representative, especially for a straightforward problem that should require less time to solve than it does to connect with a human. The online live chat options most banks use require customers to wait in a queue and have no log of previous customer conversations to use as a reference for complicated issues. FreshChat by FreshWorks offers an updated take on those old-fashioned chat products. FreshChat replicates the messenger-based applications most customers are already using in their daily lives and doesn’t require both parties to be online at the same time. Customers receive a notification when a new message is sent, allowing them to engage with a company on their own terms, even after business hours. In the six months since FreshChat went live, it’s proven to increase conversions, sales, and customer satisfaction. Customer service should do what its name implies — serve the customer. But long lines at the bank, endless phone hold times, and chat queues that last longer than the actual chat session show that not every company has grasped this concept. I recently contacted an online customer service department to inquire about an item I hadn’t received three weeks after my order. I used the website’s online chat software in the absence of a customer support phone number and provided the required information. I was placed in a queue to chat with a representative after an estimated 10-minute wait time. I passed the time by checking email and browsing the latest news headlines. I returned to the chat tab five minutes later to find a representative had already logged out after I didn’t respond to the representative’s initial message. With no other option, I re-entered my information and went back into the queue — this time with a 25-minute wait time. After 30 minutes of staring at the same screen, someone finally responded. The process certainly didn’t feel customer-friendly and made me a lot less understanding when the representative told me the delivery delay was the company’s fault. These brief interactions can mean the difference between a return customer and a poor review, but companies that use the new FreshChat software from FreshWorks are finding far more return customers than negative ratings. The secret to FreshChat’s success is that it isn’t a traditional live-chat platform. 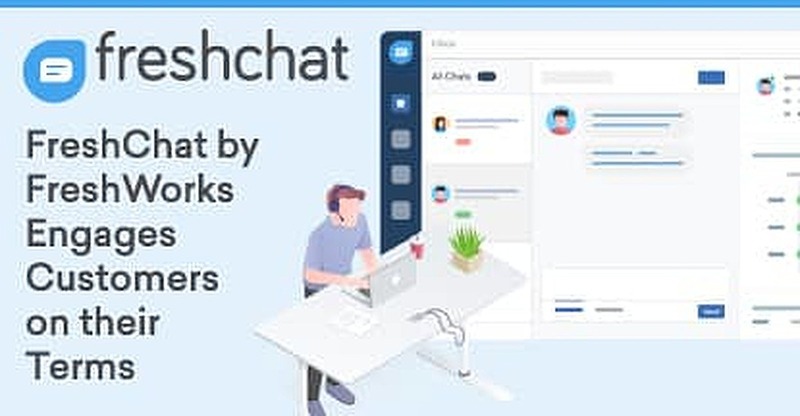 Instead, FreshChat sessions resemble a traditional messenger app — like the ones already familiar to most consumers, in which both parties don’t have to be online at the same time for communication to take place. The format launched in 2017, headed by FreshWorks’ Srikrishnan Ganesan, and has already proven to increase conversions and sales over traditional live chat thanks to its ease of use and customer-friendly interface. “With FreshChat, we’re completely re-envisioning what chat should be in 2018,” Ganesan said. With the dialogue constantly stored and on display, unlike session-based chats, there is always a context for follow-up sessions if a customer needs to contact support multiple times. Messages aren’t limited to only text, as customers can send and receive FAQs, forms, and even popular emojis. With messenger-based chats, companies no longer worry about missed chats — situations like mine, where I wasn’t able to connect with a representative — because customers and companies can send and respond to messages at any time. 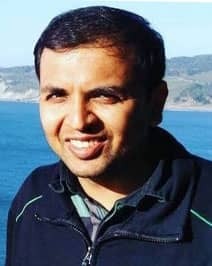 Srikrishnan Ganesan built the FreshChat Platform for FreshWorks. Push notifications alerting to a new message are sent to a user’s mobile device. If the customer doesn’t have notifications turned on, FreshChat’s software follows up with a reminder email to notify the customer of the pending message. FreshChat users can engage their customers at their own pace. The freedom of communication has many financial service firms rethinking the way their online support team functions. Nothing disappoints a customer more than when they’re prepared to engage or transact with a company only to find out they can’t because it’s after business hours. With FreshChat, customers with a busy schedule can decide when they want to communicate with a business based on their needs, not the demands of the business. That power and flexibility is what increases conversions and makes for a more pleasant customer experience. And no matter what time a customer decides to engage the company, the experience will be frictionless due to the similarity of the FreshChat platform to popular messaging applications most customers already use. Chat software isn’t anything new to FreshWorks. The company, known then as FreshDesk, has maintained a traditional chat product since 2013. That industry experience led to the evolution of the FreshWorks suite of business solutions, and the FreshChat software. In the six months since FreshWorks rebranded the mobile-only Hotline.io and introduced FreshChat, the company has seen higher adoption rates than it expected as more chat sessions move from mobile to traditional desktop operating systems. FreshWorks offers several onboarding options for companies looking to carry their online-based support chat into the next generation of communication technology. In many cases, FreshChat can be functional on a website in less than an hour. With fewer missed chats and higher conversions, more businesses are turning in their classic live-chat boxes in favor of messenger applications that store past communications and allow customers to interact with a brand on their own terms.